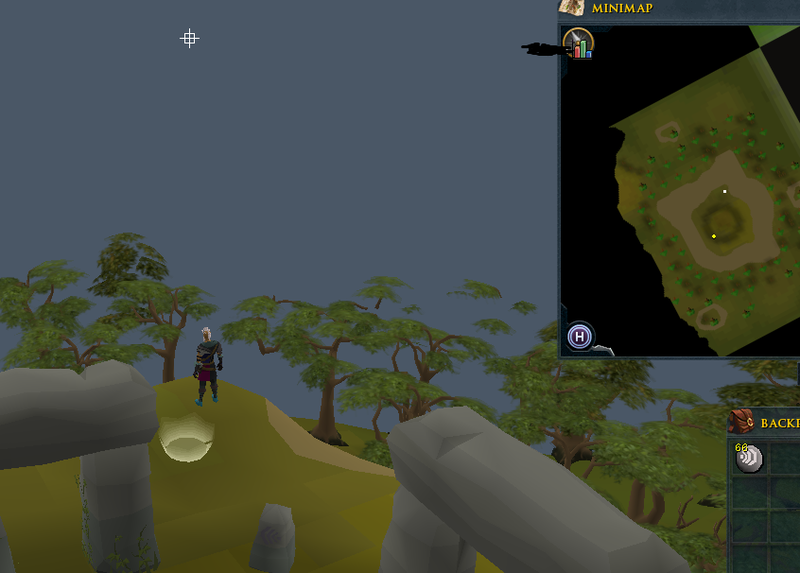 Runs air runes from Varrock west bank to air altar, then repeats. This script was made upon request. 1. Make sure your character is wearing an air tiara. 2. Make sure you have enough rune or pure essence in your bank. 3. 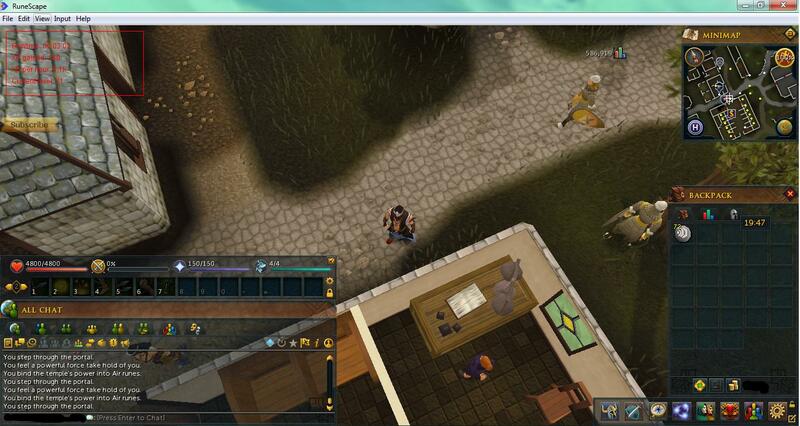 Start script in Varrock west bank, select your essence type. 1.1 - If you run out of rune essence the script will now automatically stop. 1.1 - Added support for pure essence. 1.1 - Fixed a walking issue for people playing on legacy mode. 1.2 - Added more anti-patterns. 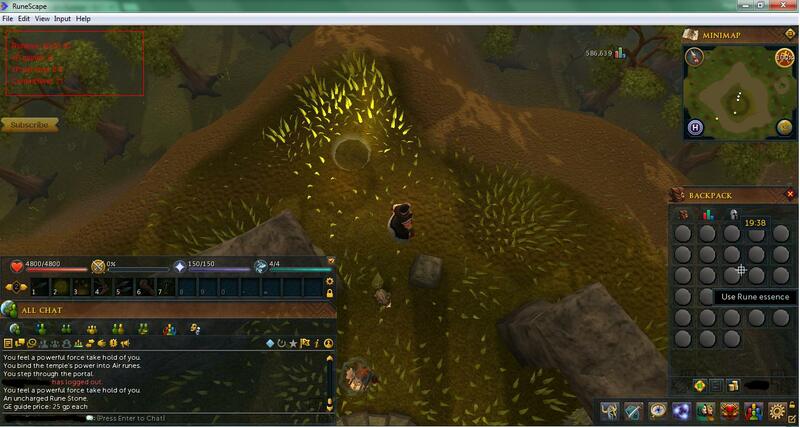 It grabs essence out of the bank and just stops here and does nothing. This issue has been fixed, also added pure essence. updates are now live, fixed walking bug and added pure essence support. Remove and re-add script from SDN to get the update. If someone can do proggies it will be appreciated. I suppose that's the risk you take from using bots, in the mean time i've increased anti-pattern rates to decrease ban risk. Sorry to hear that, but that's the risk you take when botting. Will do, thanks for feedback. Also, just remember to bot smart. Air running has a pretty high ban rate. 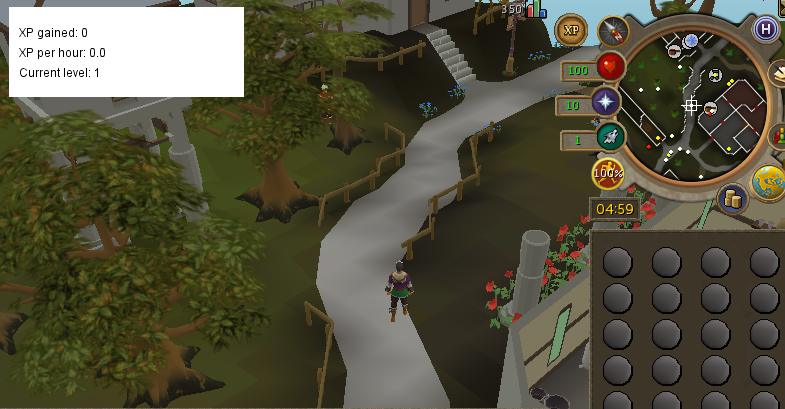 hey, I just started using this script but it keeps stopping after 1 trip, it just stands outside the bank with the air runes, hope you can fix this. I've had it stop for a few seconds like in the first picture before but it always got out eventually. And the 2nd picture that happens all the time if you dont zoom out more. FN should make it zoom out when you start the script so it has less of those issues. If you like to play zoomed in then just zoom back in when not botting. You need to be 100% zoomed out, also increase the size of your minimap. I know using bots is taking a risk but ive got 2 perms and anyone have perm too? dosent look like your zoom is completely out.